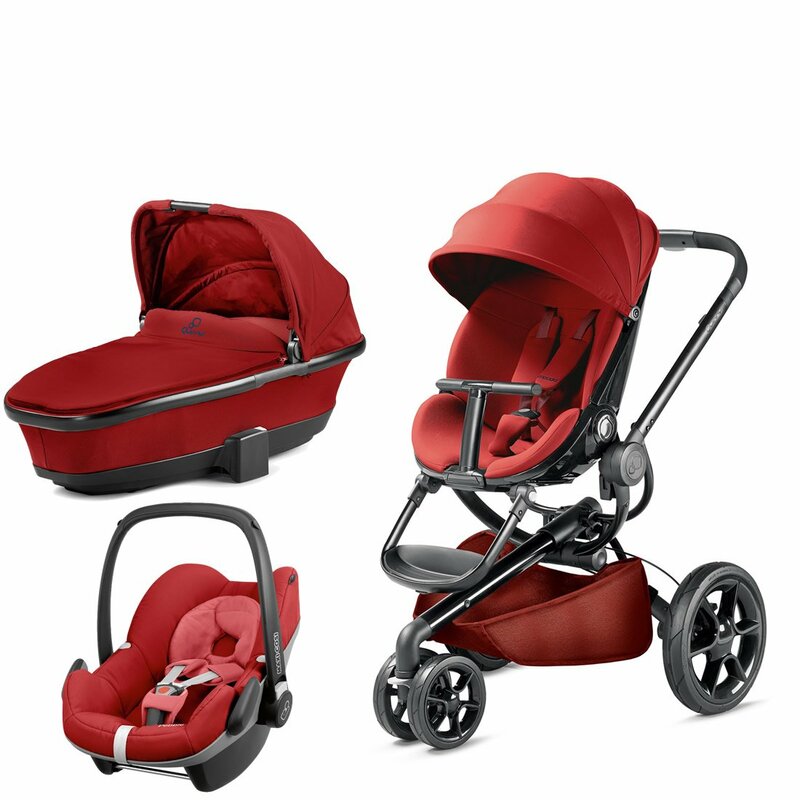 Quinny Moodd with Carrycot Red Rumour and Pebble Red Rumour Suitable from birth to 15 kg (approx. 3.5 years). Easy to fold and automatic unfolding frame. Reversible seat unit with 3 recline position (including lie-flat options for newborns).With the Maxi-Cosi Pebble baby car seat, you can bring your baby home comfortably and safely.